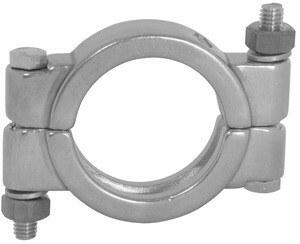 # SAN13MHP300 - Bolted Clamp - 3 in. 1000 PSI @ 70 (wing nut tightened to 25 in. lbs. torque) 800 PSI @ 250 (wing nut tightened to 25 in. lbs. torque).